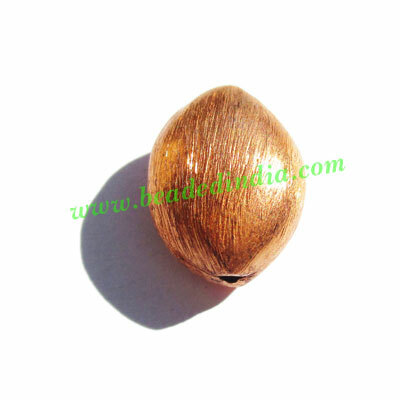 Copper Brushed Beads, size: 14x11x7mm, weight: 1.59 grams. Gold Plated Metal Chain, size: 0.5x3mm, approx 52.6 meters in a Kg. Gold Plated Metal Chain, size: 1x4mm, approx 26.5 meters in a Kg. Sterling Silver .925 Headpin, size: 1.5 inch (38 mm), head size : 2x4mm, weight: 0.24 grams.